This Anchorage midwife delivered 3,000 babies. I was one of them. Working in the news business, we often get calls from readers who have tips for us. Sometimes it's about the moose family that has been hanging out in their yard, or a new business that's opening. 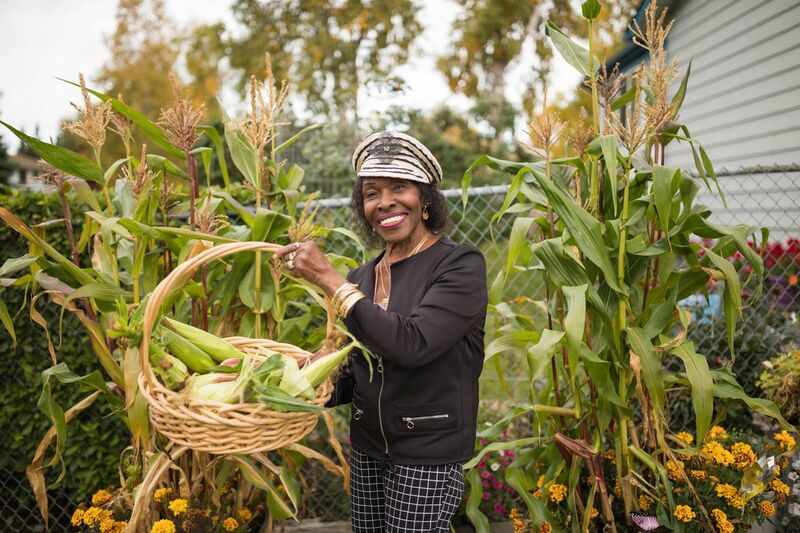 Last week, a reader called saying that this summer she had grown corn in her East Anchorage yard, and she wanted to know if we could come down to photograph her harvesting it. Photojournalists are always looking for special or unusual situations to photograph. 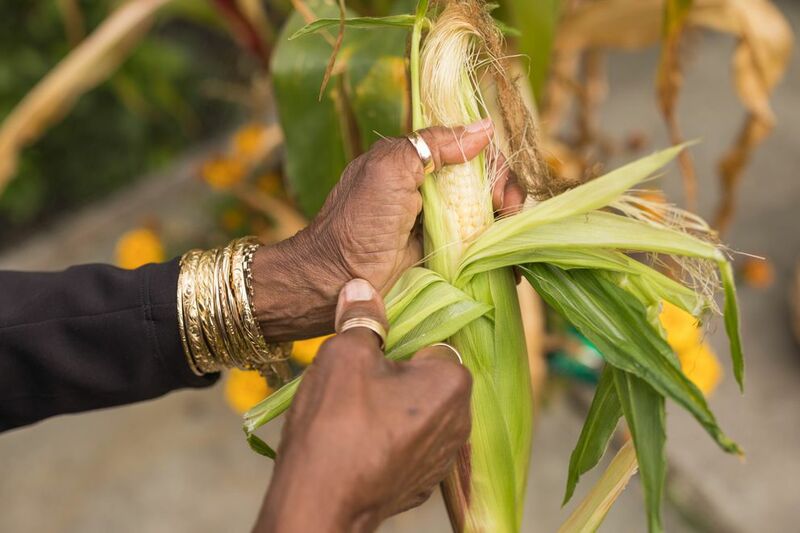 Corn in Alaska is fairly unusual, and corn grown in the icebox of East Anchorage seemed like an even more unusual twist. I got the assignment to meet the corn grower for her harvest. When I pulled up to Verona Gentry's house Tuesday, she came out of her front to greet me, smiling. Her yard was meticulously cared for, with flowers still blooming in mid-September, and apples still on her trees. We walked over to the corn, which was planted in two whiskey barrels. The stalks towered over her short frame, and the small but plentiful ears poked out from the plants. She wouldn't tell me her age, but I would guess that she has had plenty of time to settle into retirement. She told me that she wanted us to come down and watch her pick the corn, because if she had just told us about it, "you would have never believed me." Gentry grew up in London, and her accent is still strong, even after decades of living in the U.S.A. She met her husband Bill, a veteran of the U.S. Air Force, and they moved to Elmendorf in the 1970s. Gentry still has a pair of bunny boots that she's converted into planters. They remind her of Bill, who passed away in 1984. When I walked up the driveway to meet her, Gentry didn't recognize me, although we had met before. In fact, she was the first person I had ever met. She was the midwife who delivered me nearly 40 years ago. When we established that connection, she could hardly contain herself. An Anchorage Daily News article from late 1980 wrote about a new experiment that Providence Hospital was trying – the Alternative Birth Center. 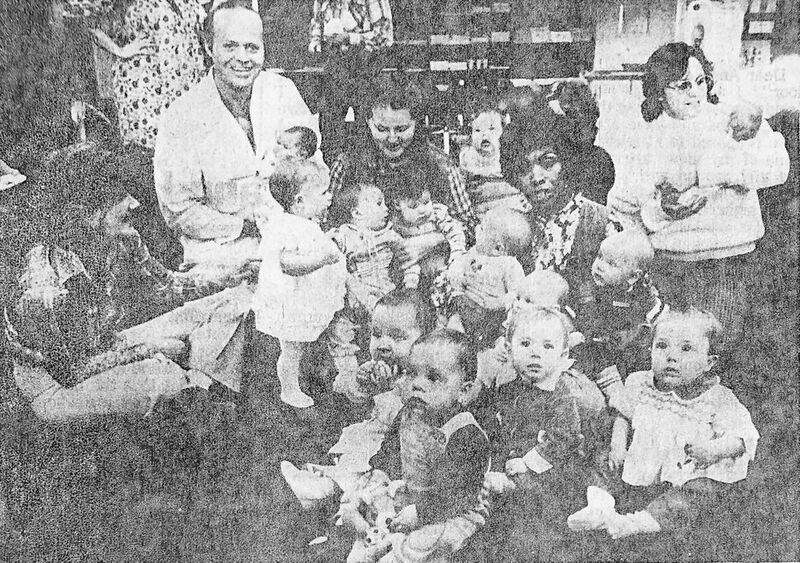 The center was opened as a special service to obstetrical patients of Dr. Hedric Hanson, according to the 1980 article, patients who "expected normal births and chose the center's home-like setting." A photo with the article shows Gentry surrounded by some of the babies she had delivered. And there I was, front and center, looking a little unsure about what was going on. Gentry was a certified nurse midwife, and she delivered many of the 47 babies during the center's first year. She went on to deliver thousands of babies in Anchorage, over 3,000 by her count. A 1983 ADN article says that at that point she was the only nurse midwife allowed to deliver babies at Humana Hospital, now called Alaska Regional. A subsequent article from 1991 describes how she assisted in the 1,000th birth at Humana, and notes that by that point she had delivered around 2,000 babies. Gentry loves meeting the grownup versions of the babies she helped deliver. She calls us "Verona babies." In a small town like Anchorage, that happens all the time. Correction: This story has been corrected. Gentry's husband Bill served in the Air Force, not the army, and the couple lived on Elmendorf Air Force Base, not Fort Richardson.